These gardens at Monteviot House are situated in lovely countryside with stunning views of the River Teviot and hills beyond. 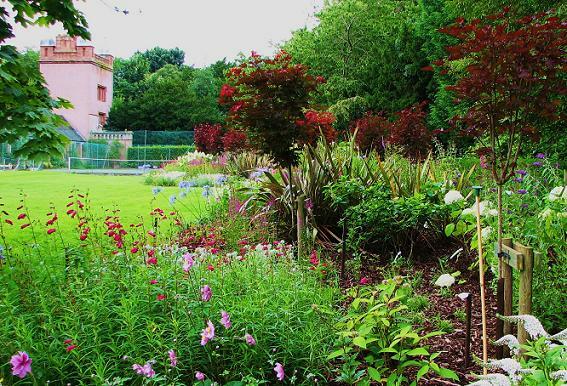 The garden at Monteviot House was designed by Percy Cane in the 1960s and has an Italian feel. 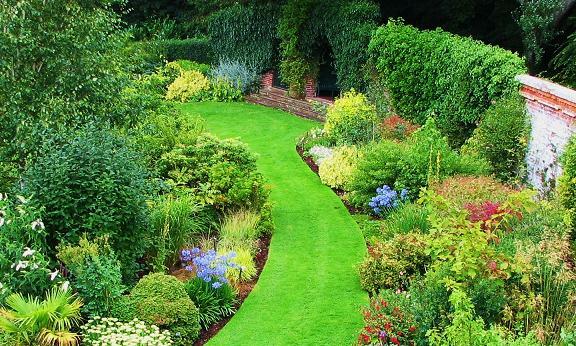 There is a herb garden, a partly curved walled garden, delightful herbaceous and shrub borders. See the spring fed water garden of islands linked by bridges surrounded by Rhododendrons and azaleas. The arboretum has some fine trees and and the whole garden has a lovely atmosphere. This is one of our favourite areas for gardens so if you are visiting the Scottish Borders make sure you have time to visit here. You may also wish to visit the historic Floors Castle with its beautiful summer borders. HOUSE OPENING TIMES from 1 July June - check website for details. Disabled access. Tea, coffee available. If you want to take a break near Monteviot House, why not stay in one of our recommended hotels. Each hotel has genuine guest reviews enabling you to book from anywhere in the world in total confidence. Not only do we feature hotels near the garden, we also feature hotels worldwide and at all major airports. Special prices up to 70% off standard rates as well as hundreds of exclusive deals. Look now for Monteviot Garden Hotels - click here.